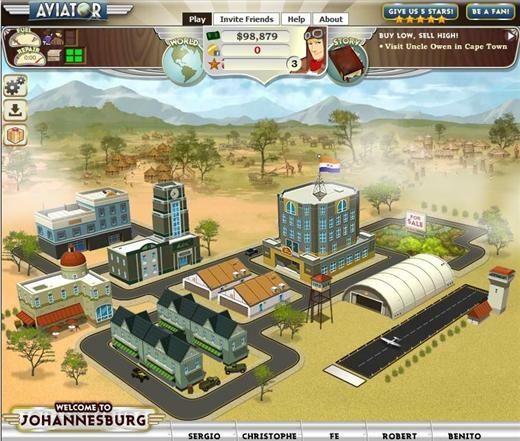 Aviator is a browser based aviation empire building game from LandSharkGames and available on Facebook. 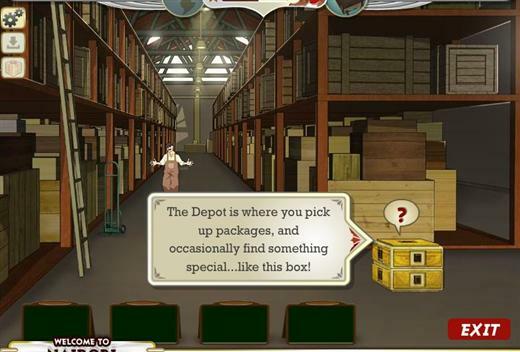 The game tries to fulfill players desire for adventures, trading and fame, backed by numerous interesting quests and events, players can also help friends as they build up their own empires. 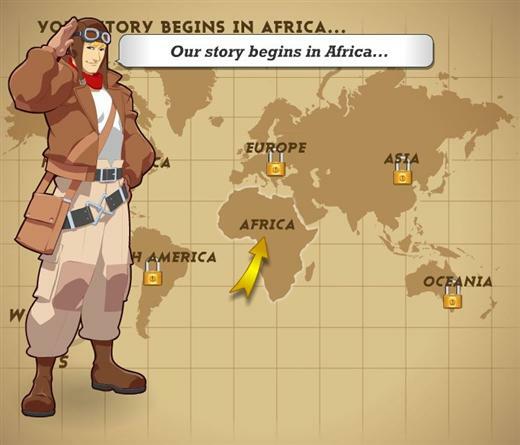 Aviator gameplay is set in the early ages of commercial aviation, around 1930, you play the role of a commercial pilot, starting your career, with a small plane, you have to do quests by carrying passengers, cargo and products for one city to another. 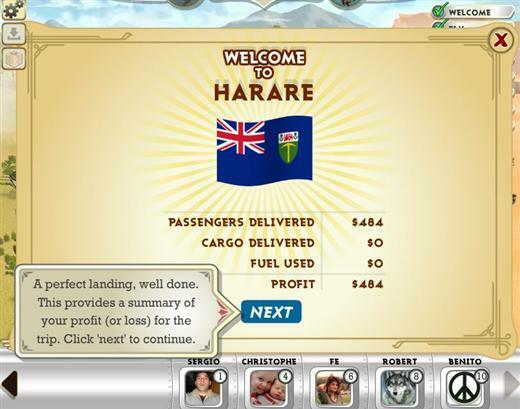 Each flight will cost you fuel, because you have to refill your plane to fly, in return you get revenue from passengers, and from cargo, or even from some special quests that will come up along your journeys. Each town has several places to visit, for example the hotel is where you meet other characters or pick up passengers, the depot is where you pickup cargo and the market is the place to buy cheap product and sell them high on other destination. 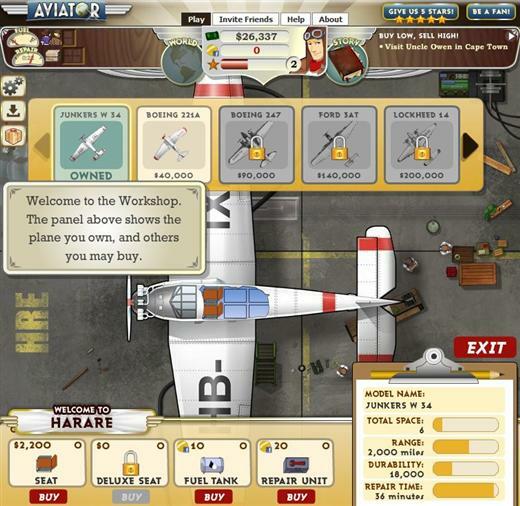 There is also the workshop where you can upgrade and repair your plane or buy a better one. As you progress, you will unlock new locations and new items, upgrades and even new planes to buy.